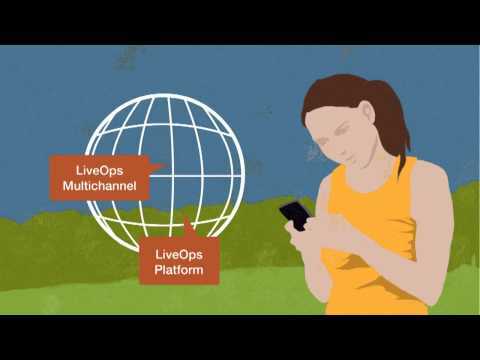 LiveOps gives you cloud flexibility, intelligent multichannel routing, real-time reporting and interaction recording across every channel – voice, email, web chat, social (including Twitter and Facebook) and SMS – along with a customer interaction database that gives you a 360-degree view of the customer front and center. And all of it delivered to the highest cloud security standards. Built on this platform and integrated in the same easy-to-use multichannel agent desktop is a comprehensive suite of LiveOps Applications™ developed to optimize your contact center performance and enhance your customer experience. Dedicated resources experienced in a variety of disciplines, ready to work closely with your team to deliver outstanding business results – on time and on budget. While LiveOps offers optional full service support, our preferred methodology involves fully training your team on our self-service tools to minimize your operational costs and maximize your operational agility. Enterprise-class support that ensures superior business results on an uninterrupted basis, even enabling you to manage customer tickets directly and obtain platform status information on demand. A complete contact center outsourcing solution that lets you tap into the best at-homeagents in your industry through cloud technology, resulting in higher customer satisfaction and improved sales results -- all at a pay-per-use model so you can scale as needed. Below are some frequently asked questions for LiveOps. Q. What type of pricing plans does LiveOps offer? Q. Who are the typical users of LiveOps? Q. What languages does LiveOps support? Q. Does LiveOps support mobile devices? Q. Does LiveOps offer an API? Yes, LiveOps has an API available for use. Q. What other apps does LiveOps integrate with? Q. What level of support does LiveOps offer? Q. Which apps is LiveOps compared to most often?